The focus of Troutsource is on trout and steelhead, rivers and streams. You get a "fly fishing only" experience, and nothing on ponds, lakes, bays or saltwater. Unlike some popular fly fishing magazines, Troutsource won't load you up with the latest gear reviews, fly patterns or lofty editorials. We aim to deliver the river, and nothing other than the river. Other sites teach you how to tie knots, tie flies, cast and wade -- to be all things to all people. There is nothing wrong with these items, but Troutsource chooses to remain focused on rivers, and rivers only. When you have rivers on the brain, you want rivers. Troutsource orbits around rivers. Rivers are its center of gravity, its lifeblood, its power source and its raison d'etre. 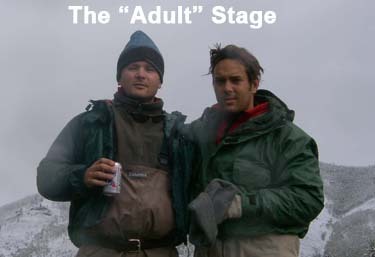 Troutsource.com 1.0 was built in 1999, during the advent of the internet, by two brothers -- Paul and Brett Terpeluk -- with little web development expertise but with a passion for fly fishing. At that time, before every fishing trip, we scrambled for information: Where should we fish? When should we go? What should we use? What were the local fly shops, guides and lodging providers and how could we contact them? We built Troutsource to help answer these questions -- for fly fishermen like you and us. In 2010, we realized Troutsource could help even more and invested in a major overhaul of the site. To save you time, Troutsource now summarizes the latest fishing reports for each river weekly, and we point to the source reports so you can read the raw material yourself. In addition, we launched the Troutsource Report, consisting of weekly highlights from the best fly fishing reports (which you see on the home page and which we will also email to you for free). The Troutsource Report lets fly fishing junkies nurse their obsession in small weekly doses without having to leave home. We sift through hundreds of fly fishing reports each week and deliver the finest morsels to you on a silver platter. All material is 100% authentic and comes straight from the front lines of fly fishing. No idealized, doctored photos or professionally edited or censored text. 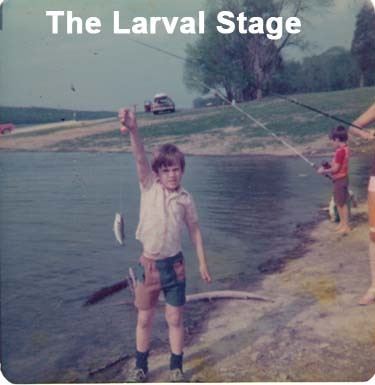 We grew up fishing the great waters of Pennsylvania, and now both live in northern California (San Francisco and Sacramento), home to more great waters. Our favorites out here include the McCloud, Pit, Truckee, Upper Sac, and Lower Sac. Closer in we have the American right in Sacramento, and the Yuba not too far either. Even with wives and kids, we still fish quite a bit. Life is good. As for fishing itself, we are self-taught and have fly fished for roughly 30 years. Since solving the fly fishing problem at hand is the most challenging and rewarding aspect of any trip, 99.9% of our trips are without a guide (who would quickly solve these problems for us). Exotic locations and expensive lodges are not our thing. Nor is high-end gear. Tightwad mutants, perhaps. Paul studied Philosophy at Princeton and Brown, then earned an MBA at The University of Michigan and now has a practical job in the food processing industry. Brett studied architecture at Princeton and Rice, lived in Italy for seven years, and is now an architect in San Francisco.